Trikka in Thessly. ca. 440 to 400 BC. Silver hemidrachm. Size : 15.4 x 16.2 mm. Weight : 2.96 grams. Obverse : Youth standing right, holding the forepart of the bull by it's horns. 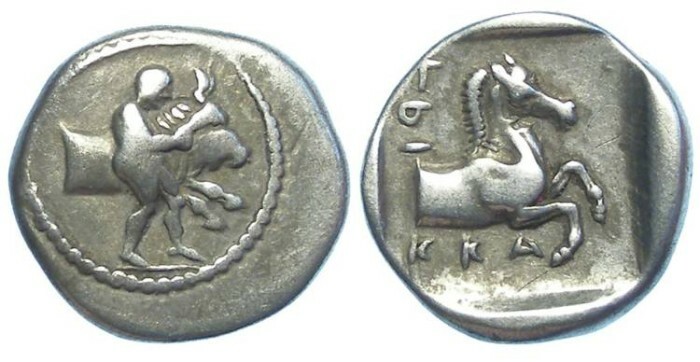 Reverse : Forepart of a horse right, with an in part retrograde inscription that reads TRIKKAION , starting at the upper right.